AUGUST 24TH, 6 - 7pm. 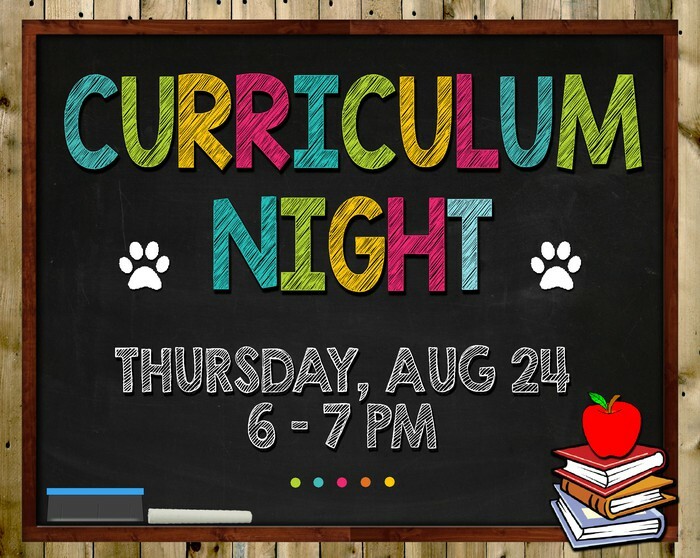 Tonight is the annual school event where parents learn about the upcoming academic goals for their students and learn of grade level expectation and schedules. PLEASE join us from 6-7. There will be a 6:30 passing period reminder so that all parents can attend 2 sessions. We encourage you to attend without your children if possible. No child care is available. 5th Grade Camp Info Meeting TONIGHT! 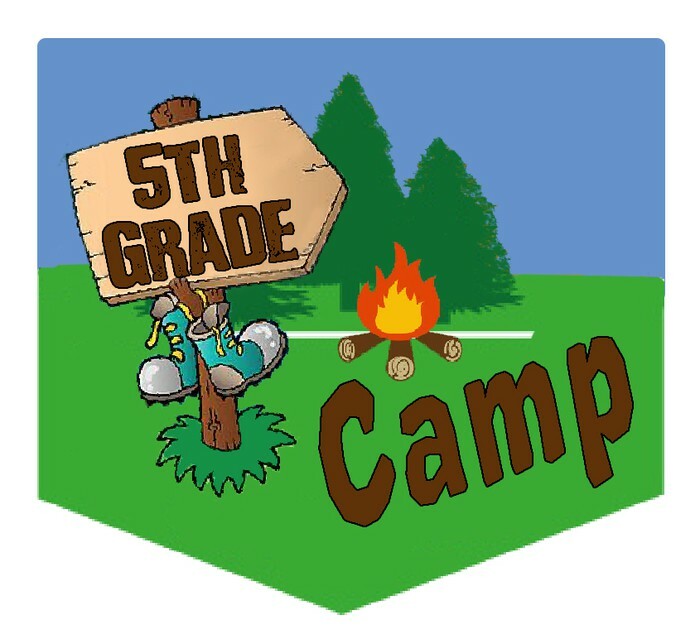 5th grade will host the CAMP INFO MEETING right after curriculum night from 7-8:15 in the library. Parents should be present for the full discussion about camp and be prepared to notarize the medical forms provided at the meeting. There is an opportunity to pay for camp by check or Pay Pams. This is the best night to have all questions answered and all forms notarized! Meet our new Administrative Intern! Welcome Corinne Dias! Mrs. Dias was recently promoted to a school administrative position, shared between Harrington & Hughston Elementary schools. 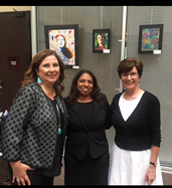 Mrs. Dias is a former counselor at Wyatt Elementary and has extensive experience with working on school improvement committees and developing strong relationships with all members of the school community. She is the proud parents of two PISD students! 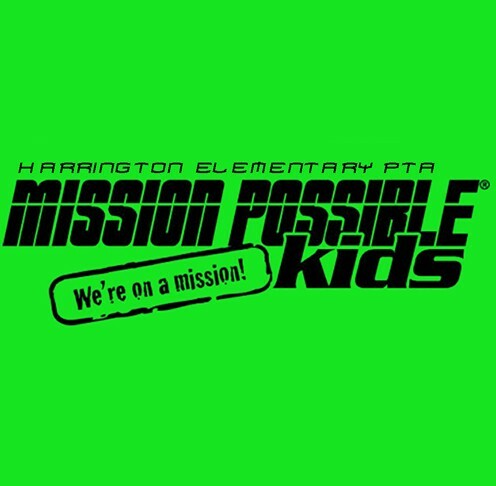 Mission Possible Kids (MPK) is an After Class Education (A.C.E.) Program, that involves “agents” completing TOP SECRET missions like making gifts for kids in hospitals, providing supplies to kids in orphanages and refugee centers, feeding the hungry, helping animal shelters, and so much more! 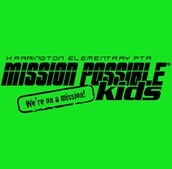 The online registration for Mission Possible Kids is now LIVE. 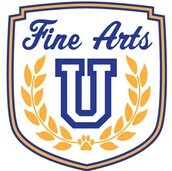 Login and register your student today! 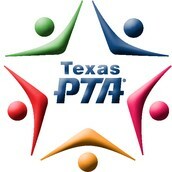 MPK registration closes on September 20th www.harringtonpta.net Any questions? 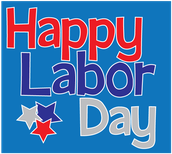 melissaawoods@mac.com or jennifer.bishop@pisd.edu. 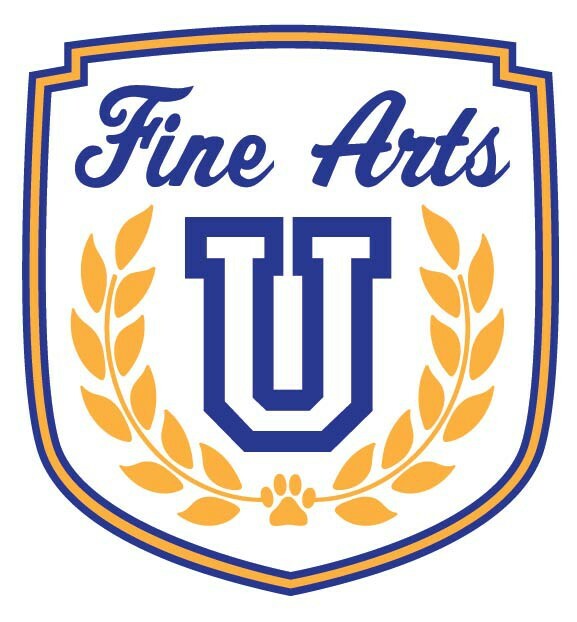 We are proud to offer "Fine Arts University" in conjunction with PTA Reflections. 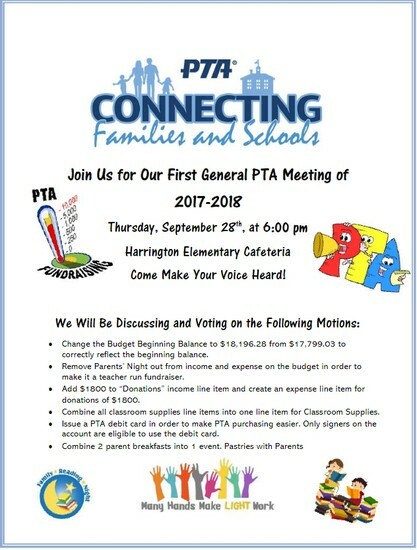 Please join the Harrington PTA. This is your best opportunity to support our school! 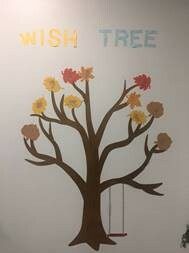 This year, the PTA board created new WISH TREES near every grade level entry. 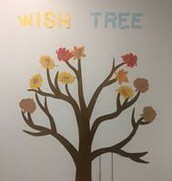 Teachers will post their wish items on the leaves of the tree. You can simply peel off the wish and return it with the item requested. These are small requests such as AAA batteries, scoop rockers for alternative seating, and healthy snacks. 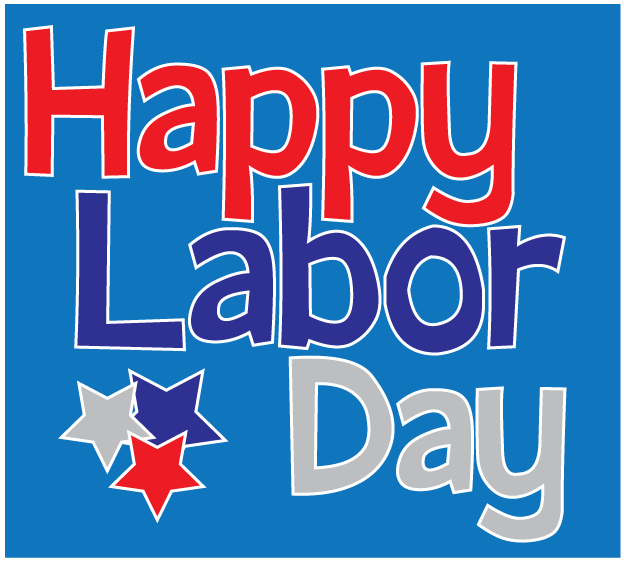 We always appreciate your support. 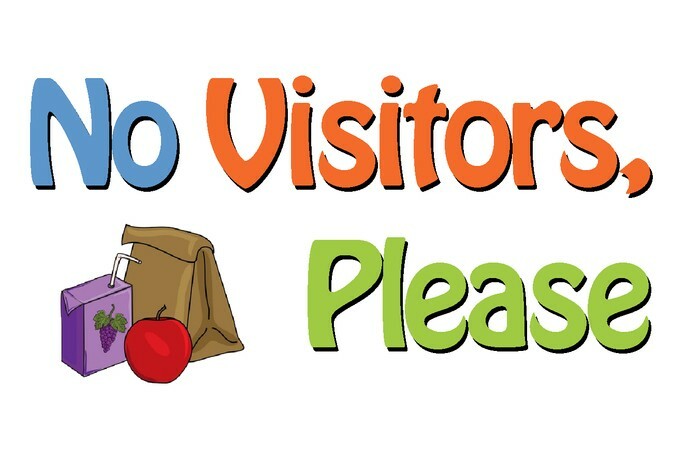 Please remember that no visitors are allowed at kindergarten lunch until Oct.2nd. After Oct 2nd, parents/caregivers are welcome to join their kindergartner for lunch! We appreciate your understanding! The District offers an online payment system for School Lunches, Fare Busing, Early Childhood Tuition, Adventure Camp, and Off-Campus PE payments. PayPAMS is the preferred method of payment by parents. 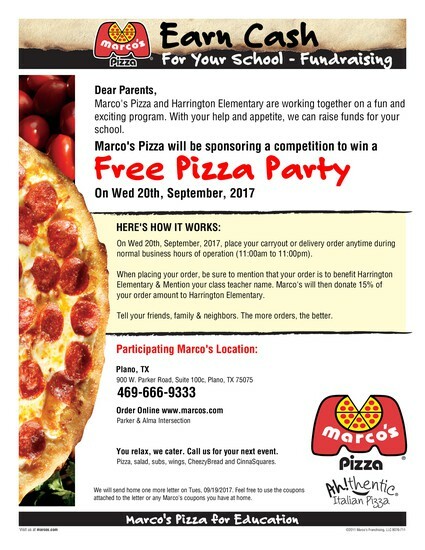 Parents, please visit: https://schools.mealviewer.com/ to have access to Harrington's school menu. Enter "Harrington" in the "Find Your School" search and click on the Husky. 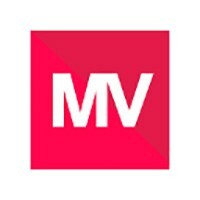 You can also Download the MealViewer APP to your Apple or Android device. MealViewer also provides crucial nutritional and allergen information.